Business • New Thai restaurant in Salt Lake City sets milestone for family and Spice Kitchen Incubator program. Steve Griffin / The Salt Lake Tribune Yupin and Wichai Charoen recently opened Laan Na Thai restaurant north of Pioneer Park. 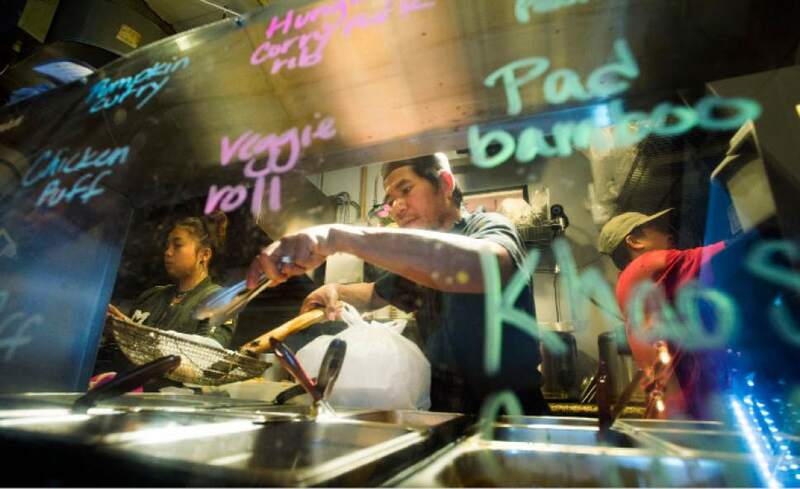 It is the first stand-alone restaurant that Salt Lake City's Spice KItchen Incubator program has helped launch, Steve Griffin | The Salt Lake Tribune Wichai Charoen prepares orders at the new Laan Na Thai restaurant (north of Pioneer Park) in Salt Lake City on Friday, Oct. 14, 2016. It is the first stand-alone restaurant that Salt Lake City's Spice KItchen Incubator program has helped launch. Steve Griffin | The Salt Lake Tribune Wichai Charoen, prepares orders at the new Laan Na Thai restaurant (north of Pioneer Park) in Salt Lake City on Friday, Oct. 14, 2016. It is the first stand-alone restaurant that Salt Lake City's Spice KItchen Incubator program has helped launch. Steve Griffin / The Salt Lake Tribune Wichai Charoen cooks at the new Laan Na Thai restaurant (north of Pioneer Park) in Salt Lake City on Friday, Oct. 14, 2016. It is the first stand-alone restaurant that Salt Lake City's Spice KItchen Incubator program has helped launch. Steve Griffin / The Salt Lake Tribune Yupin and Wichai Charoen prepare orders at their new Laan Na Thai restaurant (north of Pioneer Park) in Salt Lake City on Friday, Oct. 14, 2016. It is the first stand-alone restaurant that Salt Lake City's Spice KItchen Incubator program has helped launch. Steve Griffin | The Salt Lake Tribune Owners Yupin and Wichai Charoen prepare orders at their new Laan Na Thai restaurant (north of Pioneer Park) in Salt Lake City on Friday, Oct. 14, 2016. It is the first stand-alone restaurant that Salt Lake City's Spice KItchen Incubator program has helped launch. Steve Griffin | The Salt Lake Tribune Yupin Charoen prepares orders at the new Laan Na Thai restaurant (north of Pioneer Park) in Salt Lake City on Friday, Oct. 14, 2016. It is the first stand-alone restaurant that Salt Lake City's Spice KItchen Incubator program has helped launch. Yupin and Wichai Charoen have always believed their hard work and sacrifice would eventually bring them good fortune. They were right. 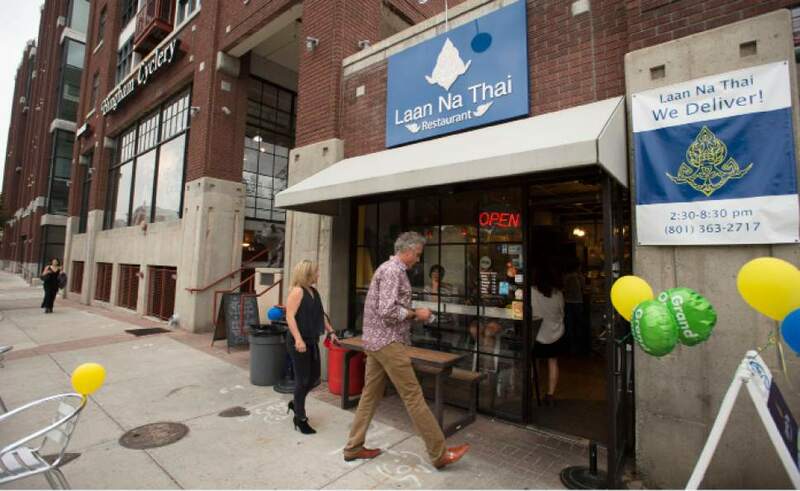 The couple last month celebrated the grand opening of their restaurant, Laan Na Thai, in Salt Lake City. Except for a new sign, Laan Na Thai, at 336 W. 300 South, looks similar to its predecessor, Ekamai Thai. It still has its tiny kitchen  barely bigger than a taco cart  and a handful of counter seats that look across to Pioneer Park. The menu has some of the same Thai favorites, including yellow curry, bean puffs and drunken noodles. But a closer look reveals several new regional dishes from Northern Thailand, where the Charoens were both born and raised: hung lay pork (curry paste, coconut milk and vegetables), nam tok (beef marinated in fish sauce and lime), kao soi (chicken legs simmered in coconut milk curry and green beans) and som tom (green papaya salad with garlic, Thai chiles and lime). Laan Na Thai also is open until 9 p.m. Monday-Saturday and has several new dinner entrées. The opening of Laan Na Thai fulfills a dream for the Charoens, as they have been preparing for their business for more than a decade. Wichai came to Utah with an agricultural work visa, hired as a laborer at a pig farm in Beaver. Later, he received a permanent visa that allowed him to seek permanent residency and petition for Yupin and their daughter to join him. Wichai worked in area hotels while Yupin was hired as the cook at Ekamai Thai, two months after the restaurant opened in 2010. While they didn&apos;t earn huge salaries, the couple still were able to send money to their aging parents in Thailand as well as set aside money to start a restaurant. As a young girl, Yupin Charoen worked in the family kitchen, helping to make the noodles and coconut desserts that her mother sold from a street cart. "We lived in extreme poverty," she said through a translator. "We were always excited when, at the end of the day, my mother brought home leftovers that hadn&apos;t sold." Opening Laan Na Thai, she said, is a way to honor her mother&apos;s sacrifice. "It&apos;s been our wish to make a living here, so we can help our parents." 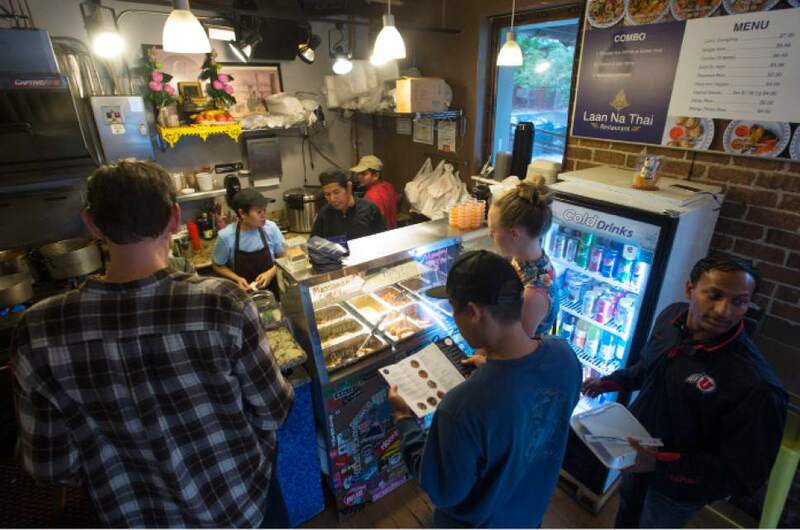 Laan Na Thai also marks a milestone for Salt Lake City&apos;s Spice Kitchen Incubator, which provides technical assistance to refugees, immigrants and individuals with low income who dream of owning a food business. 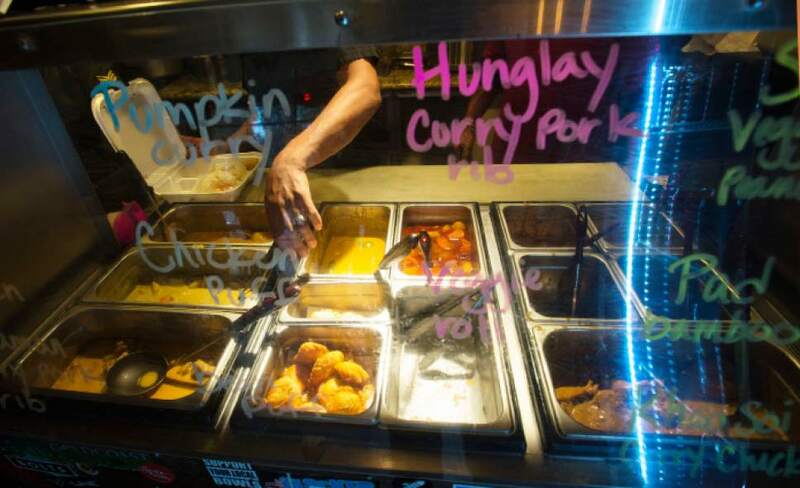 While several of the program graduates operate catering businesses or prepared food companies, Laan Na Thai is the first stand-alone restaurant the program has helped launch, said program director Grance Henley. "It&apos;s the first time that one of the graduates will have a full-time business that supports their family and is their entire income." Natural choice • The Charoens, both in their 40s, were a natural choice to buy the building. 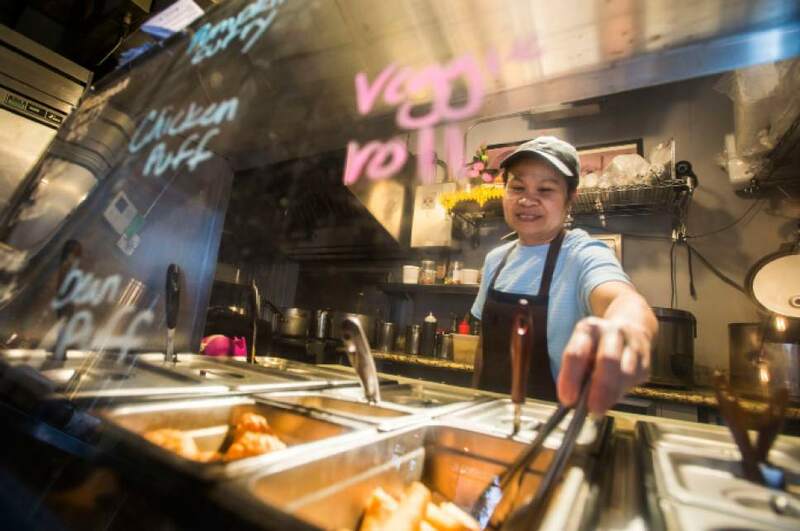 During the past six years as cook, Yupin Charoen has bonded with many of her regular customers, memorizing their orders and cooking and serving their food with a smile. One day last January, however, Charoen was near tears. The owners of Ekamai Thai, who had recently opened a second store in Sugar House, had decided to sell the original downtown location and Yupin would soon be out of a job. "I cried and cried," she said. "I was worried for Wichai, my daughter and me. We don&apos;t have the education to make another kind of living." By chance, Henley came in that day for her usual order of drunken noodles with tofu. "I could tell she was sad," said Henley, who encouraged Charoen to tell her what was wrong. 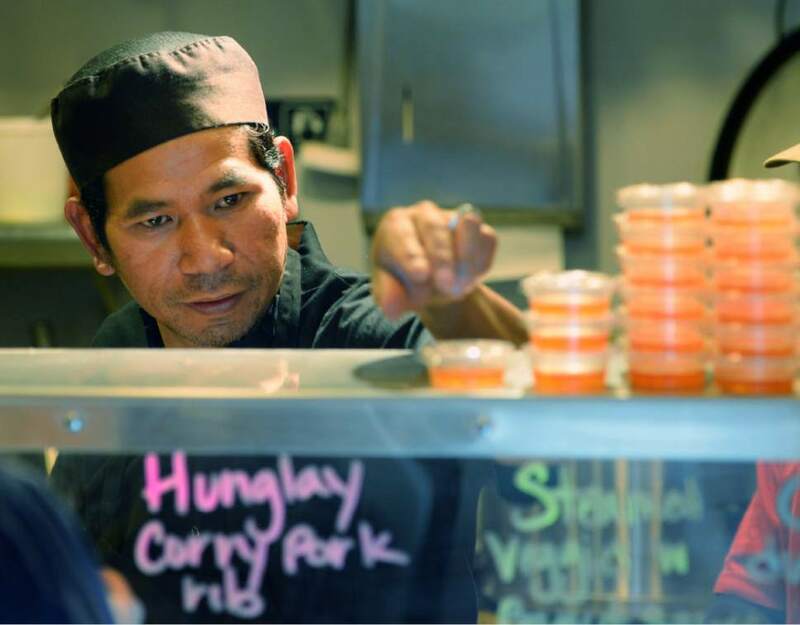 "She said, &apos;I want to buy the restaurant but I don&apos;t know how to do it.&apos; "
Henley told Charoen she could get the help and support she needed through the Spice Kitchen Incubator program. Run by Salt Lake County Refugee Services and the International Rescue Committee, the program accepts eight to 10 refugees and other immigrants twice a year. Participants are provided education and resources to build a viable food business. They learn basics, from developing recipes and analyzing food costs to understanding food safety laws. After passing the initial phase of the program, Spice Kitchen employees help students navigate the financing process, assist with business license applications and health permits and provide marketing resources. The Charoens moved through the incubator program quickly, and the money that the couple had been saving was used as a down payment that helped them get financing. "Things feel safe for myself and my family now," Yupin Charoen said at the restaurant&apos;s grand opening, tears in her eyes. "Grace and the Spice Kitchen Incubator came at the right time and shared this opportunity. It&apos;s karma." Owners Yupin and Wichai Charoen serve regional dishes from North Thailand as well as traditional favorites like yellow curry, bean puffs and drunken noodles. Open • Monday-Friday, 11 a.m. to 9 p.m.; Saturday, noon to 9 p.m. The International Rescue Committee will host Breaking Bread, a family-style dinner prepared by participants in the Spice Kitchen Incubator program and featuring cuisines from around the world. This fundraiser for the IRC includes an activity area and a screening of a documentary about a family&apos;s journey from Thailand to Salt Lake City. When • Thursday, Nov. 17, 6:30 to 9 p.m. Cost • Adults, $115; youths 6 to 18, $75; eventbrite.com. Visionary tickets are $500 and include three tickets and an opportunity to host a refugee family.